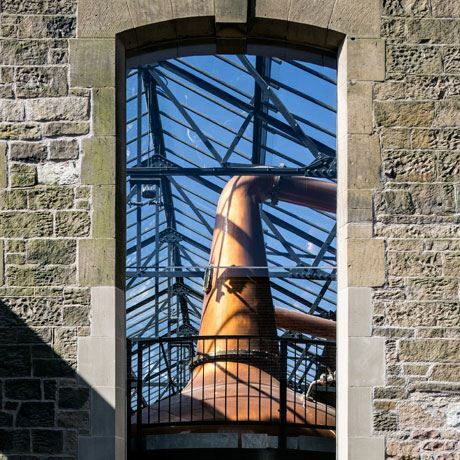 The first Scotch whisky distillery to open in the Borders since 1837. 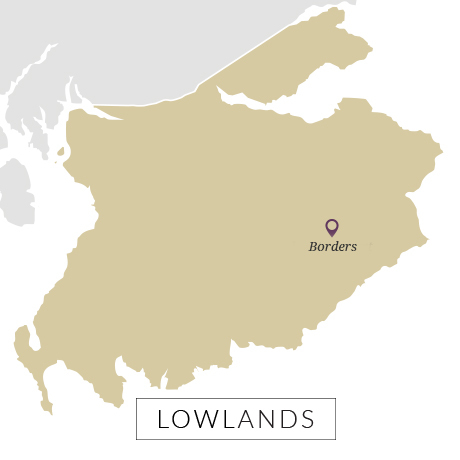 Borders is set up to produce a light, fragrant and floral style of malt whisky – a very typical Lowlands character. Long fermentation using a cloudy wort gives the spirit a malty fruitiness, while distillation in large lampglass stills with plenty of copper contact will heighten its fruity and floral qualities. Maturation will take place in predominantly ex-Bourbon barrels, although a mix of Portuguese red wine and rum casks will be used. The last legal distillery to operate in the Scottish Borders closed in 1837, leaving the region to experience something of a whisky drought for the past 180 years. Now all of a sudden several planned projects have come along at once, all bidding to be the first to revive distilling in the region for almost two centuries. The first to open will be the aptly named Borders distillery, operated by new group The Three Stills Company. Headed by four Scotch industry veterans, the company was founded in 2013 and planning permission granted in late 2015 to transform a former factory in Hawick into a £10 million malt whisky distillery with the capacity to produce up to 1.8m litres of spirit a year. The team broke ground at the site in August 2016, with the distillery kicking to life at 10.11am on 6 March 2018. As well as producing a single malt Scotch whisky, the distillery will also feature a carterhead still to create a Borders gin, featuring local botanicals. A small visitor centre will open to the public on 1 May 2018. Tours begin on the hour, every hour. Blended Scotch whisky popular in the Middle East and Africa. Operator of the Borders’ first legal whisky distillery in 180 years.